The story centers on five girls who work in the tourism bureau of their small provincial town. The town revives its "micro-nation" tourism program, which originated from a nationwide movement during Japan's bubble economy period, and hires the five girls as "monarchs" (tourism ambassadors). 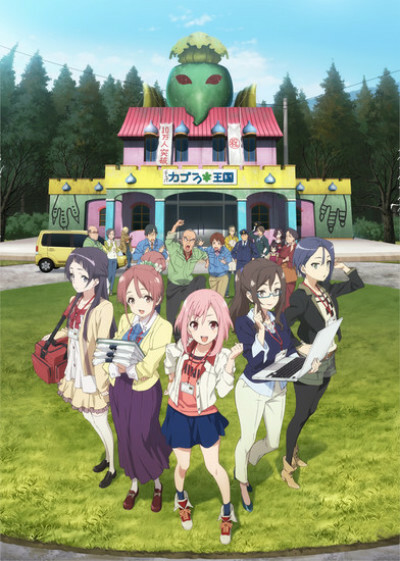 The anime will depict one year in their jobs in the tourism industry, and show how they change and grow. A show about a dying market lacks mass market appeal. The irony is razor sharp.